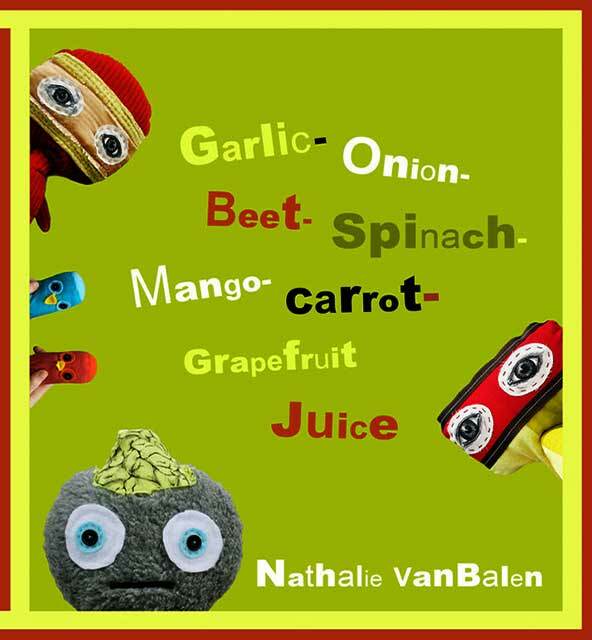 In the mood to spice-up your culinary talents? Stop by The Daring Kitchen to check out my cookbook reveiw of Monica Bhide’s Modern Spice: Inspired Indian Flavors for the Contemporary Kitchen. Though it isn’t a vegan cookbook per se, it has lots of vegan recipes…well, go see for yourself! I’m in a rather slumpy place…I just can’t seem to begin any of the new projects I was excited about, let alone finish the W.I.Ps I’d hoped to complete during my summer holidays. One of the best remedies to such a creative block is to surround myself with beauty and creativity. Spending time in the forest with Guppy does help, as does flipping through some of my favourite art and craft books. 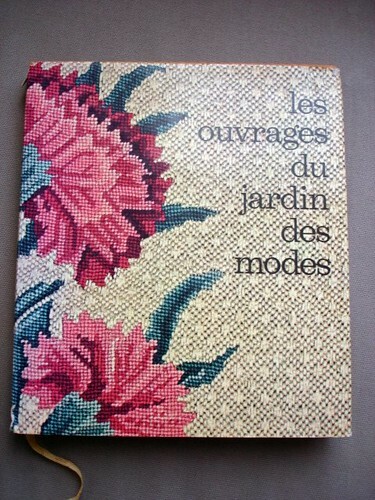 I’ve been particularly enjoying this one, Les ouvrages du jardin des modes, and I thought I’d share a little of it with you. This book was a 3 Euro thrift store find I happened upon during my Winter holiday in Toulouse. I was still hobbling around on crutches, but I did manage to convince my SIL to take me op-shopping, and was so glad I did. 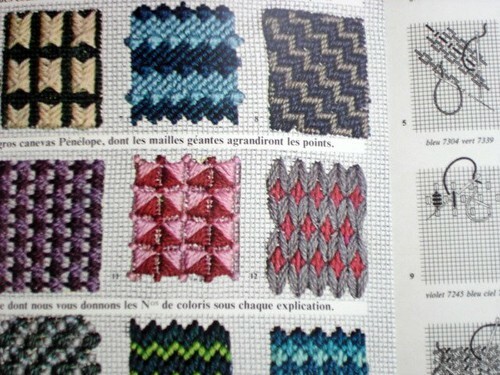 This beautiful book is a sort of cataloguing of the different project techniques that had been featured over (I think) a six-year period by Jardin des Modes. 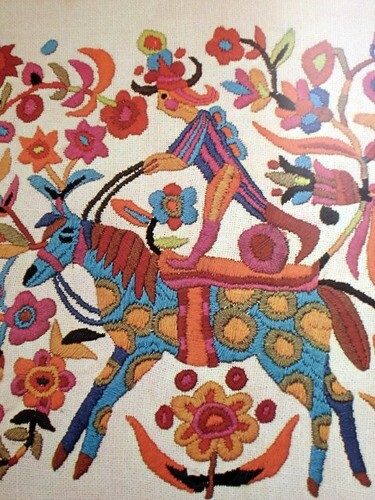 It features many techniques including : tapestry, embroidery, smocking, patchwork, embroidery-mosaics, Portuguese tapestries, and so much more. It briefly traces the historical roots of many of these techniques and gives cursory explanations. I think I’ll just let the photos do the talking. I hope you enjoy! 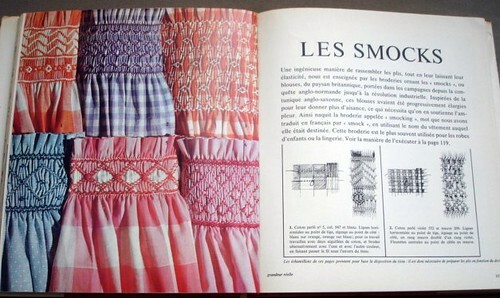 I think the section on smocking is my favourite. 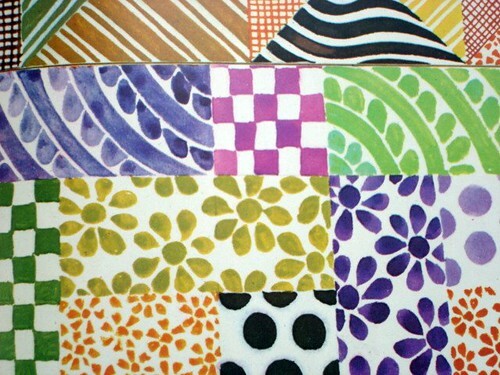 Watercolour examples of patchwork motifs – so beautiful! 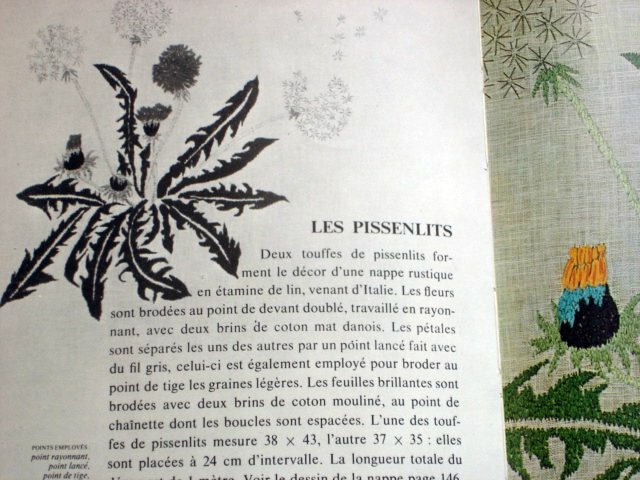 A beautiful Italian tablecloth : linen with embroidered dandilions. 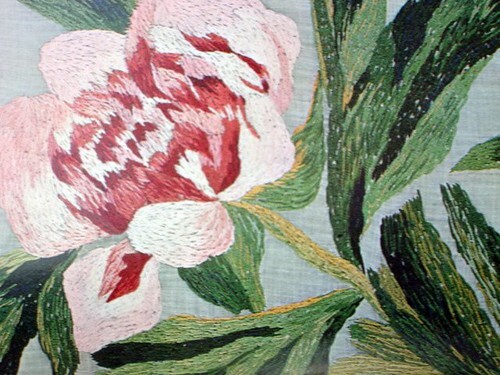 These pionies look like watercolours, and the stitches look like brushtrokes. A bright and cheery Swedish horse. This book is just absolutely lovely, and has so many wonderful photos and drawings. I wish I could share all of it with you, but obviously can’t for copyright reasons. I hope you liked this little sneak peek, though. Have you stumbled upon any new sources of inspiration? I’d love to hear about what’s inspiring you. 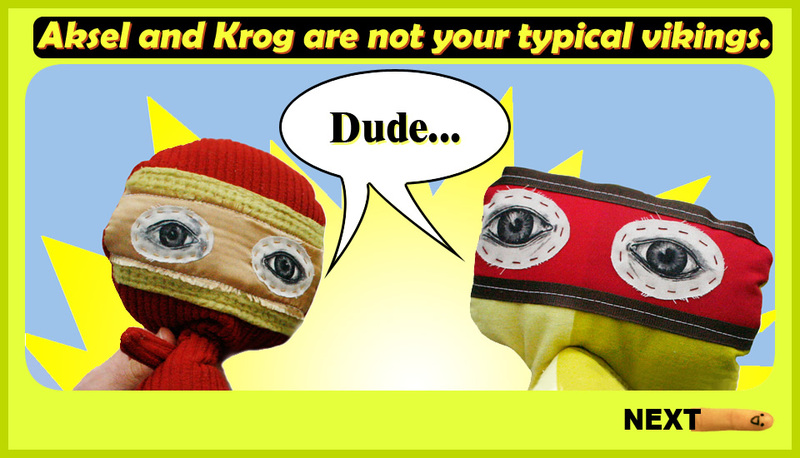 Also, don’t forget to see what the other Wipsters are up to, and to check out our W.I.P. Wednesday Flickr Pool, too. We’ve got so many new members – welcome to all of you! I’m also getting our Featured Wipsters lined up for the Autumn, with September ushering in the newest Featured Wipster.